STH is at Hot Chips 30 in Cupertino California. One of the biggest silicon launches this week is happening in Europe. 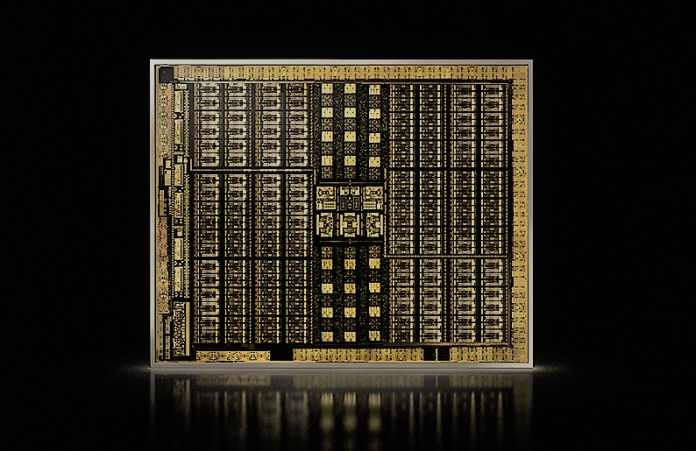 NVIDIA will launch its new Turing architecture for consumer GPUs. Since we are at Hot Chips, we are going to embed the live stream for NVIDIA Turing. 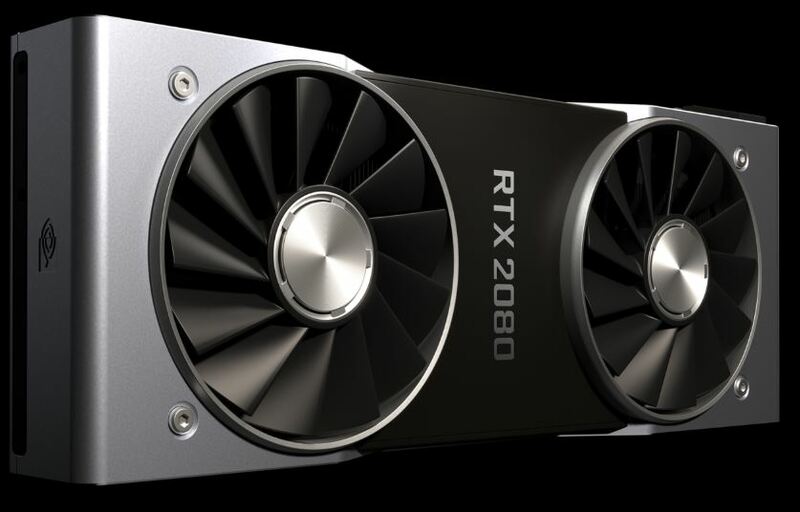 We expect the New 2080 series of GPUs to launch as the first major desktop upgrade since the NVIDIA 1080 Ti. You may remember we put 8x 1080 Ti’s in our DeepLearning10: The 8x NVIDIA GTX 1080 Ti GPU Monster (Part 1) and 10x 1080 Ti’s in our DeepLearning11: 10x NVIDIA GTX 1080 Ti Single Root Deep Learning Server (Part 1). 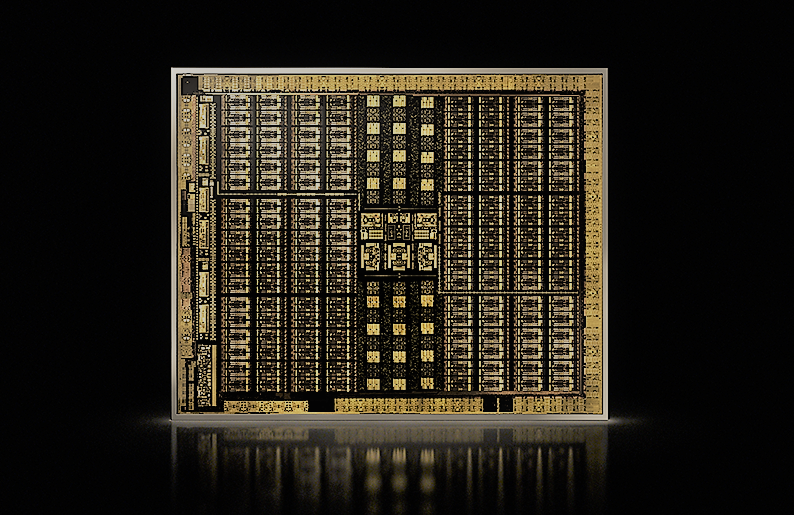 We are currently working on the SXM2 Tesla GPUs, but the GPUs launched today will likely be next. We are going to embed the launch livestream below. NVIDIA is using Twitch for the livestream platform. 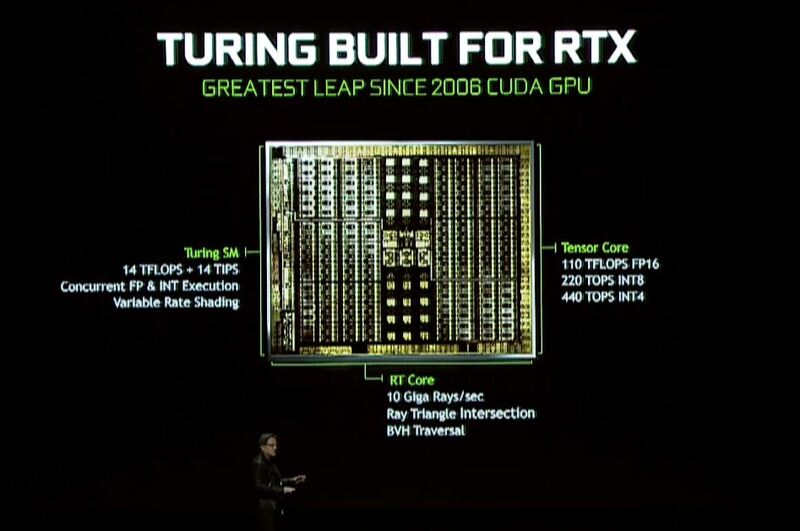 Although we expect that these gaming cards will not have the full feature set we saw when NVIDIA Turing Introduced with the Quadro RTX Line, we expect that the new cards will have Tensor Cores which may make them the new hot item for deep learning and AI applications. We also hope that the new floating point and integer compute. We will keep this updated with some of the new 2080 announcement details. The first part of the discussion was around ray tracing. Jensen is saying that it would take “petaflops” to be able to use real-time ray tracing. 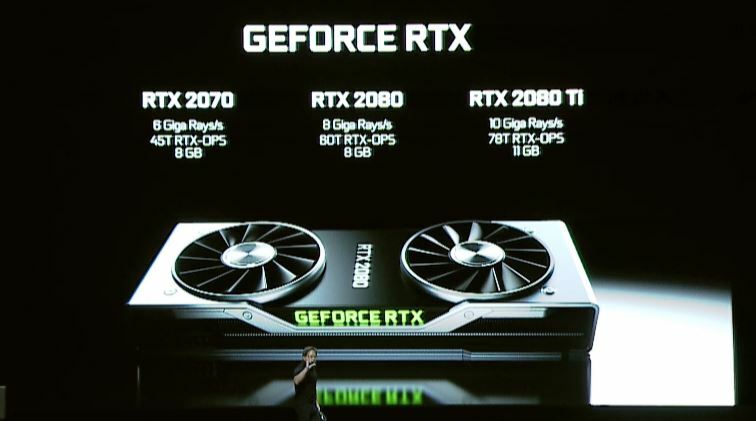 Instead, with NVIDIA RTX, the company can use deep learning and ray tracing. 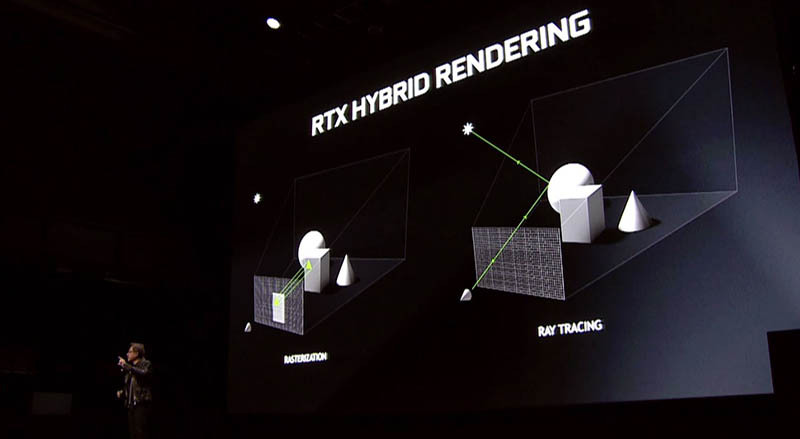 Using these technologies, NVIDIA is able to bring real-time ray tracing without having to hit computation in the petaflop realm. 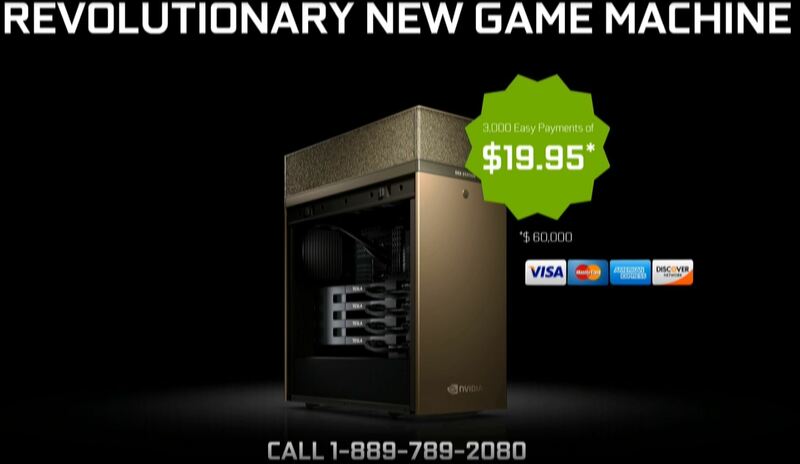 NVIDIA DGX Station pricing is now $60,000. NVIDIA Turing shader model is completely new. It can now do concurrent floating point and integer execution with up to 14 TFLOPs and 14 TIPS. 55ms with 4x Voltas rendering the test demo. Now 45ms with RTX. The 1080 Ti in comparison was 308 ms. This is largely because there is a new computing model that is using different parts of the chip, and a different pipeline. 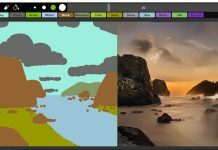 Using artificial intelligence, NVIDIA can create additional pixel data without actually computing the pixel data and have it look right. 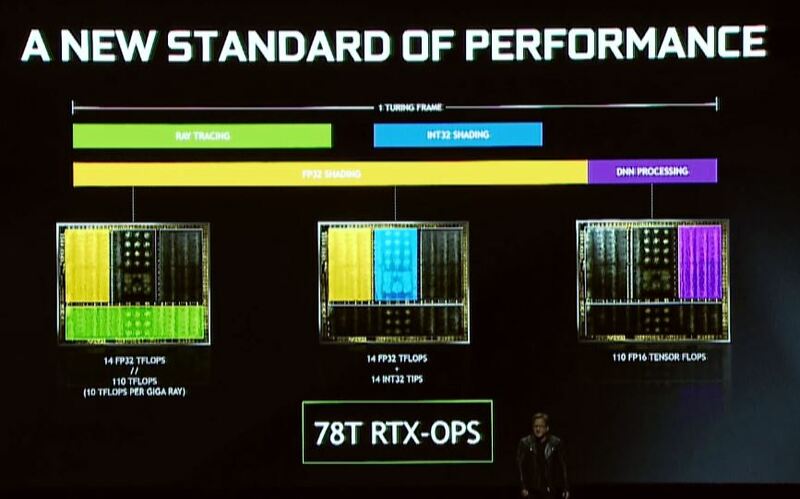 NVIDIA is showing how different parts of the chip will be used. 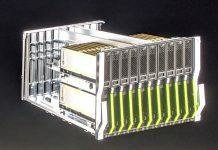 The key to the performance is that NVIDIA is using different types of computational IP blocks to render scenes. Assuming all of these blocks are running, then NVIDIA can get excellent performance. There will surely be more to come soon. 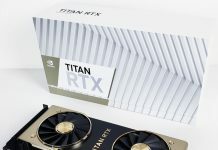 Full information on the NVIDIA GeForce RTX is up online now. Including the official slot. You can see that it has the same 11GB as the GeForce 1080 Ti. 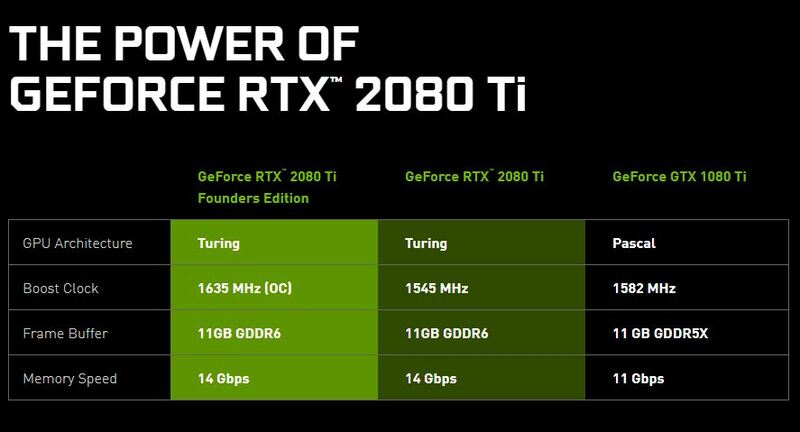 At the same time, these cards will have Tensor Cores which the 1080 Ti does not have. 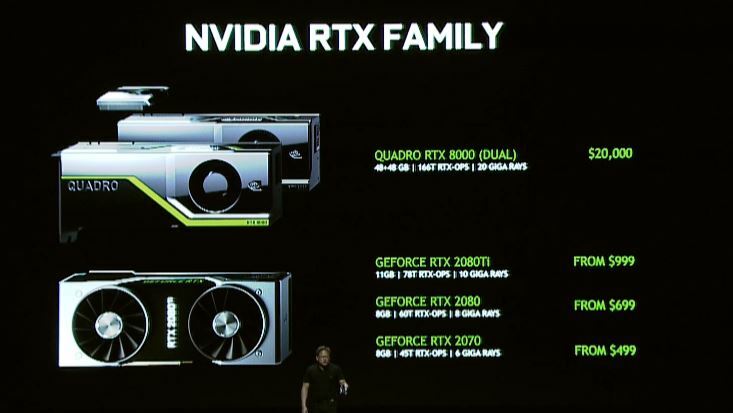 The power will be 250-260W for and these GPUs will support the new NVLink for multiple GPU support. Pricing is $1199 for the Founders Edition. 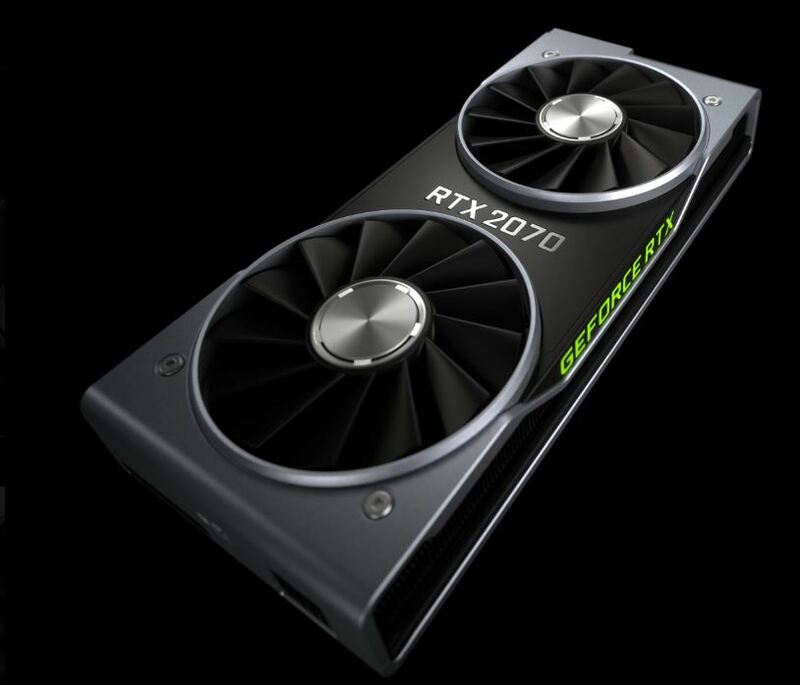 Here is the NVIDIA GeForce RTX 2080 which will slot as the update for the GTX 1080. As you can see, this is also updated with GDDR6 memory and still at 8GB like the GTX 1080. Here are the expanded specs. 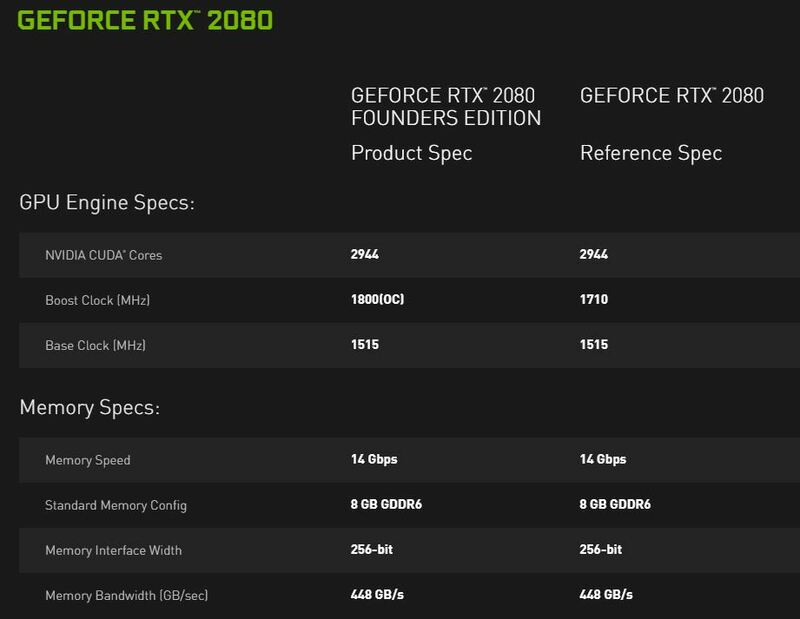 One will notice that this is about 25% lower memory bandwidth than the NVIDIA GeForce RTX 2080 Ti. Power is listed at 215 to 225W and list price is $800 for the Founders Edition. 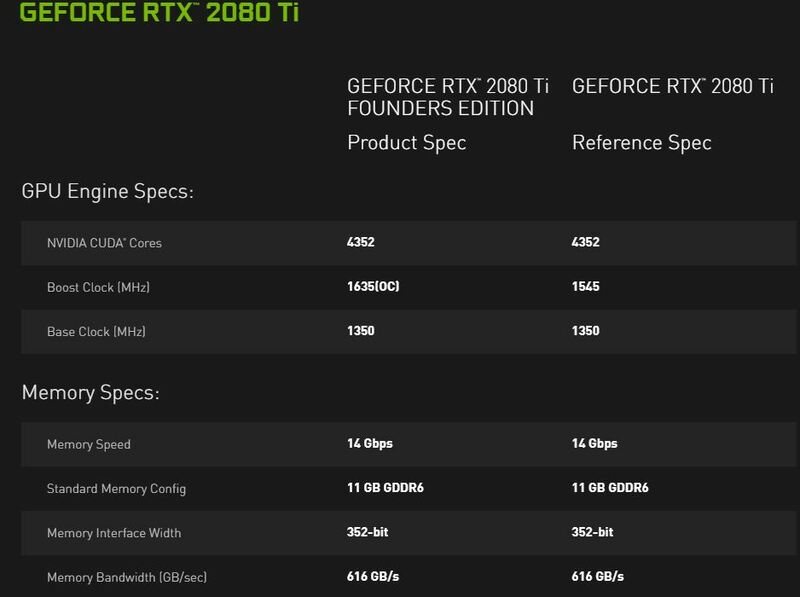 Here are the key specs compared to the GeForce GTX 1070 previous generation. Here are the expanded specs. 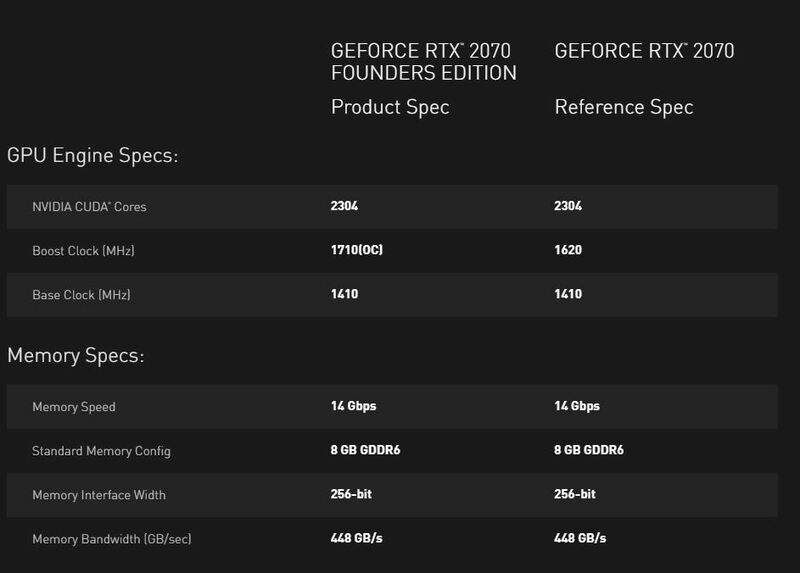 The RTX 2080 has 2944 CUDA cores while the GeForce RTX 2070 has 2304 CUDA cores. Both have 8GB GDDR6 memory. Pricing is listed at $599 for the Founders Edition. Power is 175W to 185W.